For the third time, the Cameo™ was named a “Best Buy” by Consumers Digest, for 2011, in the Premium spa class. Just another reason why the Cameo remains one of our most popular models , even without a Sundance Spas sale event! 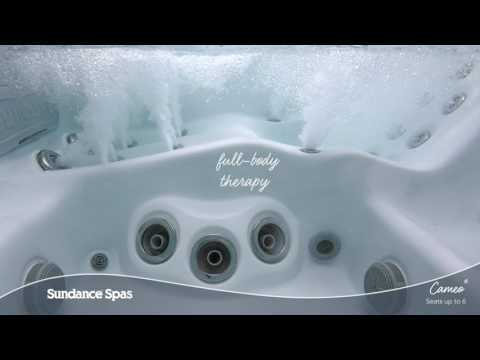 With space for 5-6 adults, the Cameo delivers famous Sundance hot tub hydrotherapy. Other outstanding features: Full-body lounge for a total body massage, with wrist jets, Deep, jetted footwell, The BLUEWAVE™ spa stereo system is available as an option, Cool-down seat for a comfortable transition between the warm temperature of the water and the temperature of the air.